We live in a far from perfect world. Whether it is man or nature, destructive forces are all around us. For over 40 years, Madico has been engineering products to increase protection against everything from criminal acts to catastrophic events. Storms, tornados, earthquakes, chemical explosions, bomb blasts, overhead/sloped glazing, theft and vandalism are all risks that our SafetyShield films can help to mitigate. The addition of Madico’s SafetyShield films and Anchoring Restraint Systems dramatically improves security for all buildings. It’s 24/7 passive protection that you can rely on, the instant a threat occurs. While our products certainly can’t prevent crime or natural disasters from taking place, they can dramatically affect the outcome of these events. Safety and security window films from Madico help reduce the risk of personal injury, property damage and loss caused by glass breakage. Available in a wide range of shades, styles and grades, our safety films are designed with protection in mind. Glass shards and debris can cause severe damage to people and property while exposing your building or home’s interior to water, wind, theft and other perils. Reduce the risk with safety and security films from Madico. 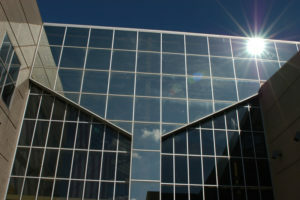 Safety film provides passive protection twenty-four hours a day. Madico security films are also designed to mitigate smash and grab theft and prevent costly, disruptive damage to your business property and merchandise. 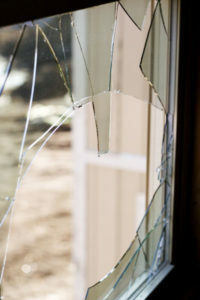 In buildings, where the government mandates tempered or blast resistant glass, Madico safety and security films can bring buildings up to code requirements at costs far below those of replacing existing windows. Madico safety and security films have been extensively tested by independent testing facilities and meets or exceeds safety glazing criteria, as defined by CPSC, the US Consumer Product Safety Commission and Underwriters Laboratories. Click here for more info on Gull Wing products. Click here for more info on FrameGard products. Click here for more info on Wet Glaze products. Midwest Marketing was chosen to be part of the elite Madico SafetyShield program as a certified Premier Partner. As a SafetyShield Premier Partner and the exclusive distributor for the Great Lakes region of the country and more than 40 years of experience installing Madico film, we have the knowledge to guide our clients through the process, from start to finish. Midwest Marketing works with our dealers to develop a customized course of action that will meet the GSA standards for shatter-resistant window protection or solar window protection.